Photo of: East Coast of Ireland: Meath: Slane. This photograph was taken during the very cold spell in early December 2010. 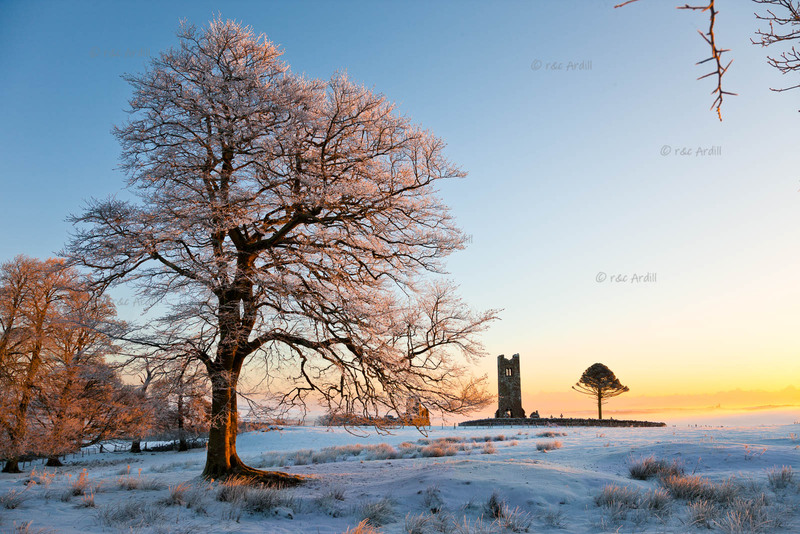 It is a dawn view of the Hill of Slane. The ruins of the 16th Century Monastery are in the background. St Patrick is said to have lit a fire at this spot in 433AD.